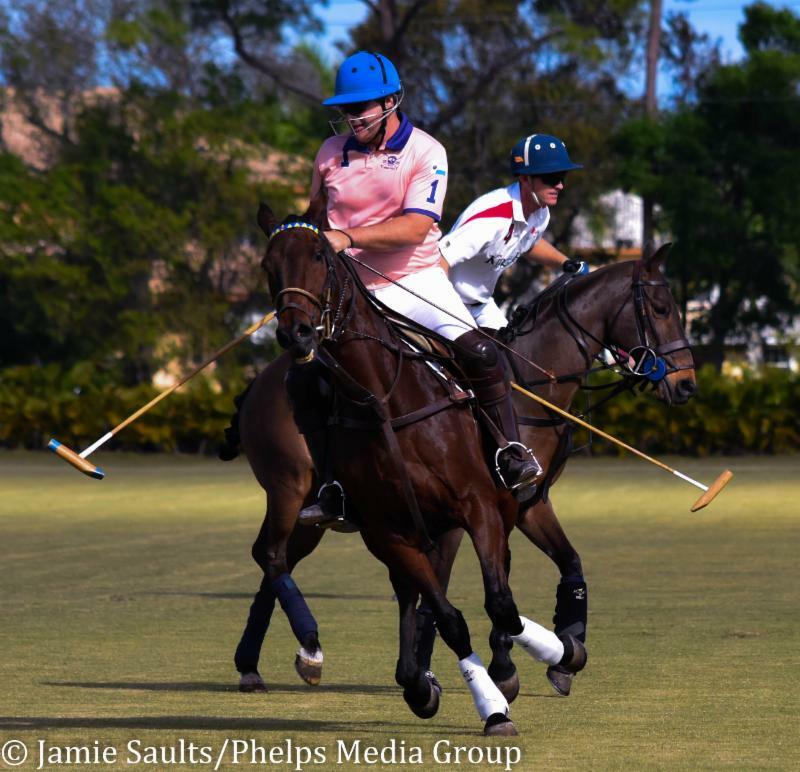 Palm City Polo Club with three exciting matches. Halcyon, Greenhill Winery and Precise Property, Inc. all claimed victories in fast-paced, evenly matched games. On Saturday, Halcyon clinched their second consecutive win in the 6-10 goal Tournament, defeating Stone Pony 5-4. Both teams were consistent and scored in every chukker, but Halcyon notched more goals during the second chukker, which kept them in the lead for most of the game. 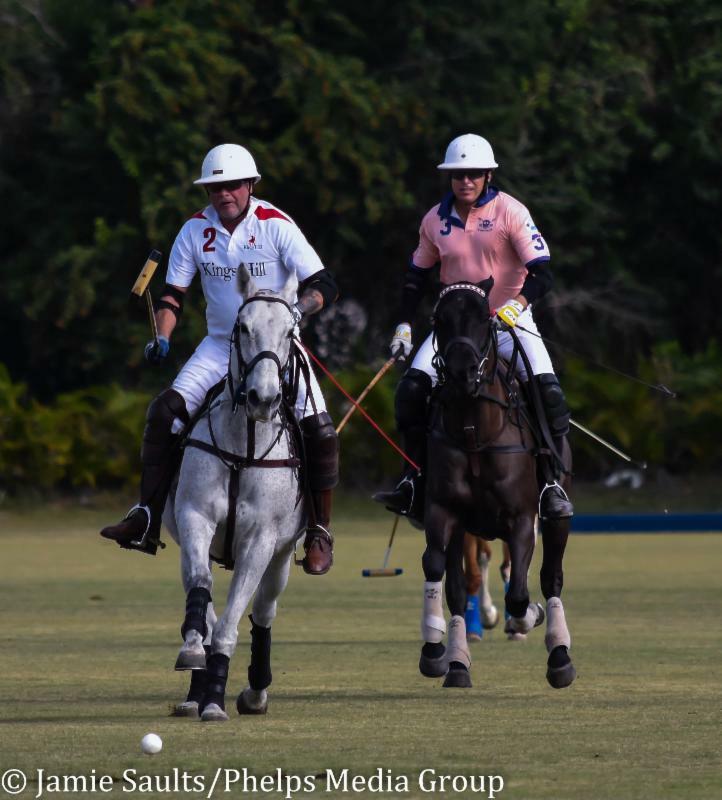 Peter Nathanial scored the first goal for Stone Pony, while opposing team Halcyon's patron Geoff Richards added to the scoreboard to end the first chukker in a tie. Richards scored again in the second chukker as well as Diego Coscio, giving Halycon a comfortable 4-2 lead until Stone Pony's John Gobin scored and closed the gap to within one goal at halftime. In the third, Dennis Fitzpatrick, who hails from Massachusetts, tied the match again for Stone Pony, however Chip McKenney would not let Halycon be denied as he sent one through the posts for a score of 4-3 with one chukker remaining. Richards scored his third goal of the match in the final chukker, securing the role of high scorer and giving Halycon the win. Nathaniel scored the final goal of the game, yet it was not enough to take the victory way from Halcyon. "It was a hard fought game," said Richards. "It required us to give everything we had on the field and to push forward. It was a function of great teamwork." In the 3-6 Goal Tournament on Sunday Green Hill Winery dethroned King Hill even though they scored in only two out of four chukkers. Due to the handicap, Green Hill Winery showed half a goal on the scoreboard before the game began, which may have proved to be the key to victory, winning 3 ½ - 3. It was really a battle between Peter Nathanial of Green Hill Winery and Chip McKenney of King Hill. Nathanial initially gave Green Hill Winery a commanding lead scoring two goals in the first chukker, but then McKenney gave King Hill a fighting chance by adding a goal to the scoreboard and ending the chukker at 2 ½ - 1. Great defensive play kept both teams scoreless in the second chukker. In the third, McKenney scored again for King Hill while Green Hill Winery remained scoreless for a third chukker score of 2 ½ -2. It looked like McKenney was going to crown King Hill the victor by notching another goal in the final chukker until Nathaniel fought back to score and give Green Hill the win. Nathanial showed impressive style as he has only been riding and playing polo for five years. "I learned to ride and play polo at the same time, Joey Casey taught me. He wouldn't let me get out onto the field until he thought it was safe, which was the right thing to do," said Nathanial. "I have great horses, and they make all the difference. Especially at that last run which was pretty much the length of the field. My horse was steady when he went into that top gear and he gave me the confidence to focus on the play." Earlier in the week, Precise Properties, Inc. outrode the Tuff Rider team to win 6-4 in the 3-6 goal tournament. In the first chukker, Tuff Rider burst into the lead with Gwen Rizzo scoring two goals against one by six-goaler Nacho Badiola for Precise Properties, Inc. Both teams contributed to the scoreboard in the second chukker scoring two goals apiece keeping Tuff Rider on top by one at halftime. In the third chukker, Precise Properties kept their momentum scoring three goals, two by patron Mike Egan, to take the lead 6-4. The game might as well have ended there as neither team was able to record a single shot in the final chukker.